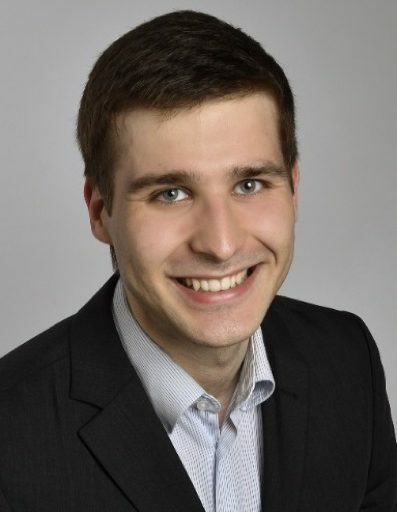 Malte Feldmann ist wissenschaftlicher Mitarbeiter am Lehrstuhl für Öffentliches Recht, Informationsrecht, Umweltrecht und Verwaltungswissenschaften (Prof. Dr. Indra Spiecker gen. Döhmann) an der Goethe-Universität Frankfurt. When in preparation for the handover of Hong Kong on 1st July 1997, British Prime Minister Margaret Thatcher and Chinese Chairman Deng Xiaoping agreed upon the 1984 Sino-British Joint Declaration, they considered the constitutional concept of ‘one country, two systems’ to be a stroke of genius. Originally devised for Taiwan, it rendered it possible for Hong Kong and Macau to become part of China, yet avoiding the imposition of the socialist system. Although sovereignty was resumed by China, Beijing’s ability to exercise this sovereignty was meant to be severely self-limited by the principle of ‘one country, two systems’. Albeit the importance attached to this very principle, ‘one country, two systems’ is neither mentioned in the Sino-British Joint Declaration nor explicitly regulated within the Hong Kong Basic Law. However, in accordance with the idea of the principle, Hong Kong has been set up as an autonomous ‘Special Administrative Region’ vested with executive, legislative, and independent judicial power, including that of final adjudication (cf. Article 2 Hong Kong Basic Law). All personal, commercial and political rights and freedoms that Hong Kong has enjoyed during the late years of British colonization, notably among them freedom of speech, press and assembly, were also enshrined (cf. Article 27 Hong Kong Basic Law). In this vein, not only the laws, but also the administrative, economic, and social systems in force were able to be handed over largely unchanged in 1997. Hong Kong was and has hitherto remained an economic and financial capital whose comparative advantage lies within its high level of legal certainty, personal, economic and political freedoms, and last but not least, an effective and predominantly corruption-free administration. But how does the deceptively simple stroke of genius work in practice, twenty years after the British-Chinese handover of Hong Kong – particularly in light of recent developments? For a long time, Hong Kong was considered to be a merely commercial and apolitical city. Since 2003, however, this image has started to crumble. Hong Kong has steadily evolved to a highly polarized city of protest. This development found its peak in September 2014 when tens of thousands flooded the streets demanding universal suffrage for the election of Hong Kong’s Chief Executive. Due to the use of umbrellas to shield off tear gas, this movement was quickly labelled ‘umbrella movement’. It turned out to become the most significant pro-democratic movement on Chinese soil since the Tiananmen Massacre in Beijing in 1989. Thus, at the core of the matter of the umbrella movement is a row over Article 45 Hong Kong Basic Law: Whereas pro-democratic forces sought to see the ‘ultimate aim’ of universal suffrage with candidates not preselected by a small committee to be attained already in March 2017’s Chief Executive Election, pro-Beijing forces do not believe the time to be ripe yet, if ever. Official argumentation is that, particularly economically, Hong Kong is not doing well enough in order to allow for risky experiments. But there is also another side to it: If the Chinese Communist Party (CCP) had made concessions following mass demonstrations in Hong Kong, this would have been carefully followed not only by foreign observers and might have been regarded as a shameful triumph of foreign Western ideals, but might have turned into a beacon to follow for all those forces within China that have an interest in casting doubt on CCP’s rule, e.g. Tibetans and Uighurs. Thus, on 26th March 2017, the new Chief Executive Carrie Lam – who is going to assume office on 1st July also – has yet once more not been elected by universal suffrage, but selected by a committee of about 1200 people. This number resembles 0.03 % of Hong Kong’s registered voters. As the umbrella movement does not seem to have yielded any discernible fruits, numerous former participants, commentators, and politicians regard the movement as a failure. But worse, currently, many of the protestors – just like public figures of the movement such as former Time-magazine title star 20-year-old Joshua Wong, numerous pro-democratic politicians, or academics such as Benny Tai, Hong Kong University Professor of Law – face legal persecution. Due to the lack of registration of the assemblies, they are being accused of ‘unlawful assembly’, ‘causing disorder in public places’ and/or ‘inciting public nuisance’. The most prominent figures of the movement, such as Benny Tai, are even charged of ‘conspiracy’. When speaking to former participants of the umbrella movement, the chilling effect of these cases of organizers and participants who are by now at times even convicted and imprisoned is clearly discernible. Highly dubious is the timing of some of the prosecutions. The initiation of a notable number of the prosecutions happened to be scheduled exactly one day after Carry Lam’s Chief Executive (s)election – more than two years after the umbrella movement – a scoundrel who suspects illicit motivation. The conclusions drawn by the majority of the pro-democratic forces are not exceptionally far-fetched. They regard the legal crackdown as an ongoing attempt to eliminate opposition by the means of politically motivated prosecutions. Remarkably, in May 2017, the German Federal Administration has also publicly announced their concerns about the ‘right of demonstration’ in Hong Kong due to the ongoing legal crackdown. If ‘one country, two systems’ comprising independent public prosecutors was actually uphold, these kinds of politically motivated and timed prosecutions would have hardly been feasible. Next to the legal crackdown on former activists, there is another recent development giving rise to concerns about the current state of affairs of the ‘one country, two systems’ principle in Hong Kong. And yet once more, the Hong Kong Basic Law is a source of contestation rather than a means to integrate diverging interests. Subject of controversy is the National People’s Congress extensive interpretation of article 158 Hong Kong Basic Law. According to it, ‘[t]he power of interpretation of the Basic Law shall be vested in the Standing Committee of the [mainland’s] Standing Committee of the National People’s Congress’. In paragraph 3 it is explicated that the Standing Committee of the National People’s Congress has the power of preliminary ruling in adjudicating cases and the Court of Final Appeal of the Region is required to seek an interpretation of the relevant provisions in cases ‘concerning affairs which are the responsibility of the Central People’s Government, or concerning the relationship between the Central Authorities and the Region’. For anyone familiar with European law, this power of preliminary ruling in a multilayered system does not appear peculiar. It is peculiar, however, how the National People’s Congress applies this article. In the latest instance, in November 2016, the National People’s Congress published an interpretation of the Basic Law about the practice of oath-taking – without any interpretation request of a Hong Kong court. According to Beijing, an interpretation by the National People’s Congress enjoys the same status as a Hong Kong law. Blatantly, the interpretation targeted very specific cases. Only a few weeks earlier in October, Sixtus Leung and Yau Wai-ching, two pro-independence ‘to-become’ members of Hong Kong’s parliament (Legislative Council), declined to take the oath in the prescribed way and displayed banners stating ‘Hong Kong is not China’. This behavior was admittedly not only improper, but taking into account the wording of Article 104 Hong Kong Basic Law also unlawful. When a Hong Kong court finally delivered its ruling on the cases, it complied with the interpretation handed down from Beijing and disqualified both Sixtus Leung and Yau Wai-ching from assuming office as Legislative Council members. Admittedly, this does not have to be judged as a mere act of anticipatory obedience by the court, but it is indeed a legitimate interpretation of Article 104 Hong Kong Basic Law. From a legal perspective, however, the competence issue at stake is far more significant. It remains striking that the interpretation did not follow a request by a Hong Kong court, but was an act of self-empowerment by the National People’s Congress. An unrequested interpretation is not provided for in the constitution and is certainly incompatible with a(n admittedly) European tinted understanding of preliminary ruling. Remarkably, following the incident, also the Hong Kong lawyers’ Bar Association published statements expressing its deep concern about Hong Kong’s judicial independence and organized a silent march. This outcry did not stop the pro-Beijing Hong Kong Government to attempt to disqualify four further pro-democracy members of the Legislative Council (namely Lau Siu-lai, Nathan Law, Edward Yiu and Leung Kwok-hung) on the basis of alleged concerns about their oath-taking. In the case of Leung, the judge even quoted statements made outside the oath-taking ceremony to argue that Leung ‘manifestly refused […] to solemnly, sincerely and truly bind’ himself by the oath. Considering that there are in total seventy seats in the Hong Kong’s legislative council of which only thirty-five are elected under a proportional representational system, the impact of a government’s success in these pending cases would be severely detrimental for the current pro-democracy veto power within the Legislative Council. Notably, the employment of legal means to strengthen the authority of Beijing in Hong Kong chimes well with China’s general new national strategy of treating Hong Kong affairs. In June 2014, Beijing issued a ‘White Paper’ on ‘one country, two systems’ announcing that they require all those who ‘administer Hong Kong’ – who are not only the Chief Executive, principal officials, members of the Executive Council but also the Legislative Council as well as ‘judges at different levels’ – to be first and foremost patriotic with China. As this was widely regarded as a further attack on Hong Kong’s judicial independence, this paper led nearly 2000 Hong Kong lawyers to hit the streets in order to protest against the categorization of judges as administrators of Beijing’s cause. To conclude, it can be seen that Beijing– instead of upholding the principle of ‘one country, two systems’ – rather adroitly utilizes legal means to strengthen its authority in Hong Kong. From a constitutional vantage point, it is noteworthy that the Hong Kong Basic Law is not contributing to Smendian societal integration, but repeatedly has itself become subject of contestation. The legally not sufficiently enshrined principle of ‘one country, two systems’, the very safeguard of Hong Kong’s free society, increasingly runs the risk of hollowing out and revealing its true colours – those of an empty shell. Therefore, twenty years after the handover, there is not much reason to celebrate. SUGGESTED CITATION Feldmann, Malte: Twenty Years ‘One Country, Two Systems’ in Hong Kong: A Reason to Celebrate?, VerfBlog, 2017/6/30, https://verfassungsblog.de/twenty-years-one-country-two-systems-in-hong-kong-a-reason-to-celebrate/, DOI: https://dx.doi.org/10.17176/20170703-093231.